You Can't Choose when Cardiac Arrest Will Strike. But You Can Be Prepared. Sudden cardiac arrest can happen to anyone, anywhere, at any time -- regardless of health or age. When it happens, HeartSine can help make the difference between life and death. Since 1998, HeartSine has been designing and manufacturing AEDs for the untrained rescuer who is often first at the scene. HeartSine's AEDs are available in 23 languages, are saving lives in over 40 countries, are clinically advanced, reliable, and easy to use. They are the best way to prepare for the worst. When it comes to saving lives, don't settle for less. 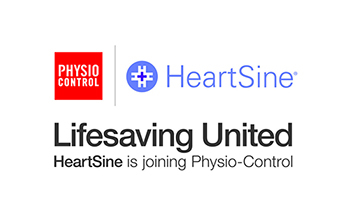 Leading corporations, organizations, and industry experts agree: HeartSine has comprehensive offerings and benefits that deserve serious consideration when deciding on your AED. Superior Design. Technology goes hand in hand with value. HeartSine's firmware and software allow for increased savings with a superior offering by using the most advanced components available. 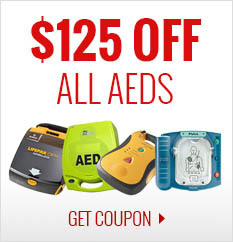 Utilizing new technology allows HeartSine AEDs to offer advantages that are superior to those that still use technology from more than a decade ago. Superior Protection. 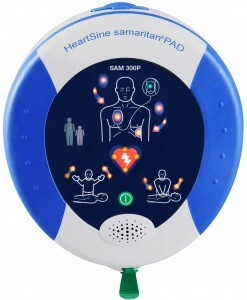 With a 8-year product warranty, the Samaritan PAD is the best backed AED on the market, today. This protection is three to five years better than industry standards and only solidifies HeartSine's commitment to providing you with excellent protection. 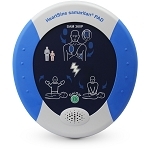 The Samaritan 300P is the only mainstream device with a perfect regulatory history, giving you peace of mind and comfort knowing your AED is well thought out, safe, and reliable. User-Friendly Components. HeartSine's innovated Pad-Pak cartridge houses both the battery and electrodes for the device. One expiry date eliminates the need to keep track of two separate items and reduce the costs associated with doing so. 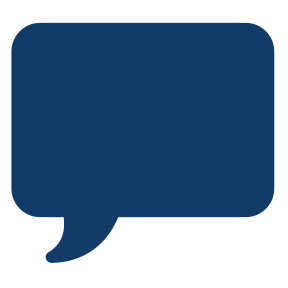 Complimentary software upgrades are available for user download from our website and the Samaritan 300P offers user-selectable language options to provide adaptability across multiple site applications. Lowest Overall Costs of Ownership. The extended life Pad-Pak and standard warranty means lower operating costs during the life of the device. Each Pad-Pak is good for 4 years, providing lower costs than those devices that need electrodes replaced every 2 years and then the battery at year 4. Rich History of Innovation. 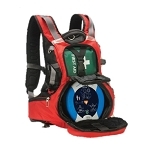 Dating back to the mid-1960s, the technical experts at HeartSine have been at the forefront of portable defibrillation technology. This experience and expertise are evident in the design and features of the Samaritan 300P device.